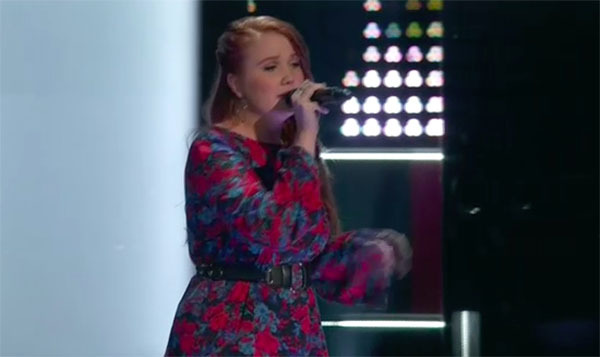 Hannah Goebel sings her cover of “If I Ain’t Got You” by Alicia Keys on The Voice Season 14 Blind Audition, Monday, March 12, 2018. Kelly, Alicia, Adam and Blake turned their chairs for Hannah. Kelly blocked Alicia. “I really felt that and I love it,” said Alicia Keys. “I think i could be a really great coach for you,” said Kelly Clarkson. “I go down bleeding to get you,” said Blake Shelton. Hannah Goebel chooses Kelly Clarkson as her coach.